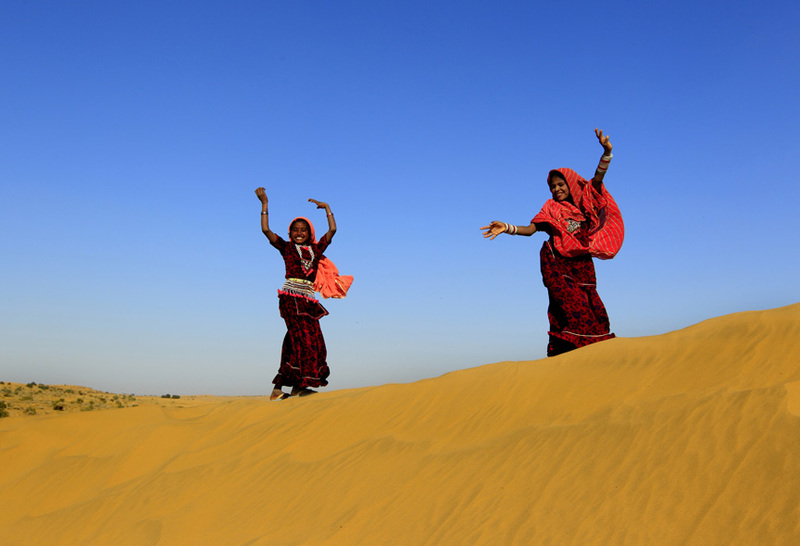 Desert Festival of Jaisalmir – Once a year in winters and on the middle of the continually rising and falling stark yellow sands of the great Thar Desert, the empty sands around Jaisalmer come alive with the brilliant colour, music and laughter of the Desert Festival. 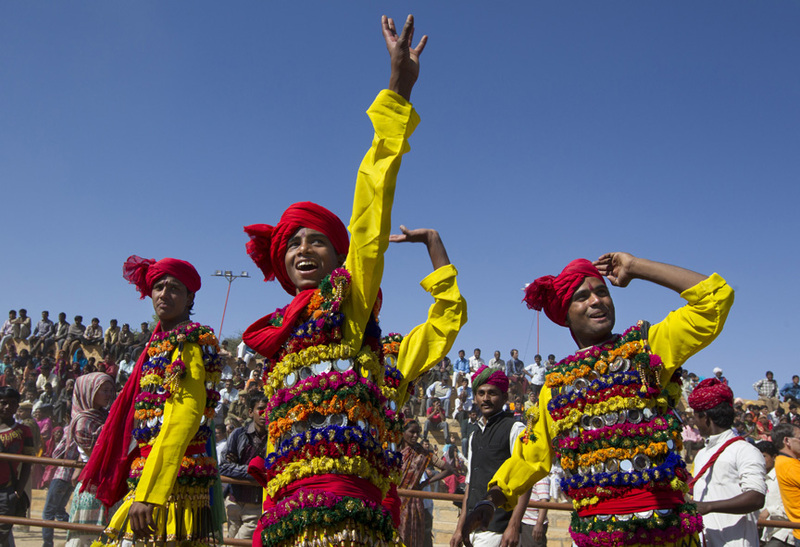 The festival is organised by the tourist authorities as tourist entertainment around January-February. 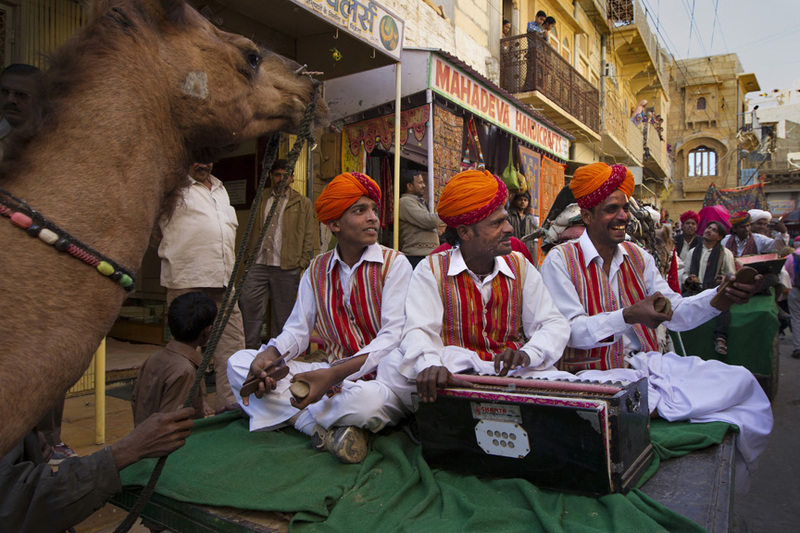 The Festival is an annual event organized in the beautiful city, Jaisalmer, India. This three days festival is held in the month of February. 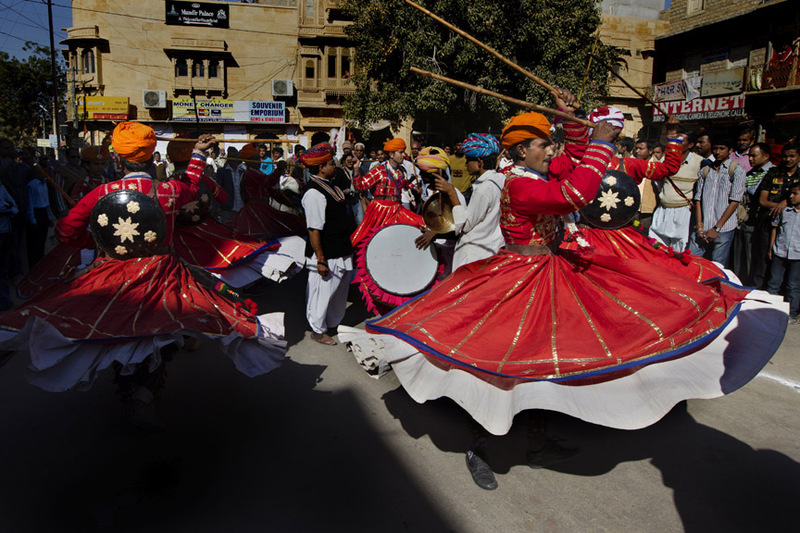 It is organized in association with the Rajasthan Tourism Development Corporation. 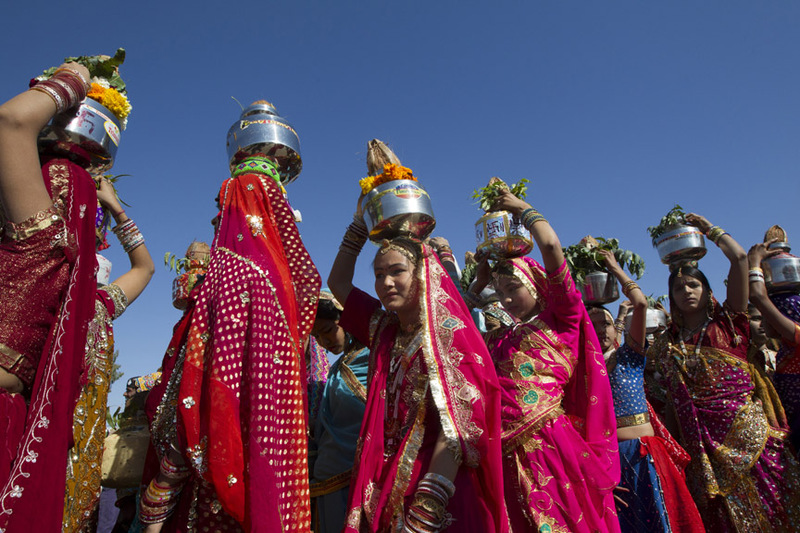 Desert Festival represents the rich and colourful Rajasthani folk culture and concludes on the day of Poornima. 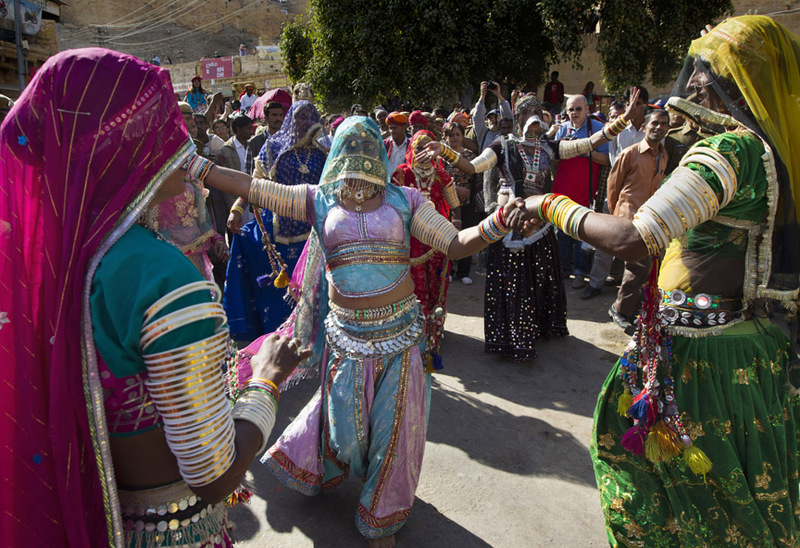 During the festival, the desert folks sing and dance eloquently to the triumphs and the tragedies of the land. It is also a musical extravaganza where musicians and the renowned artists participate. Along with this, a number of competitions are held in the festival like the turban tying competition, longest moustaches competition, etc. 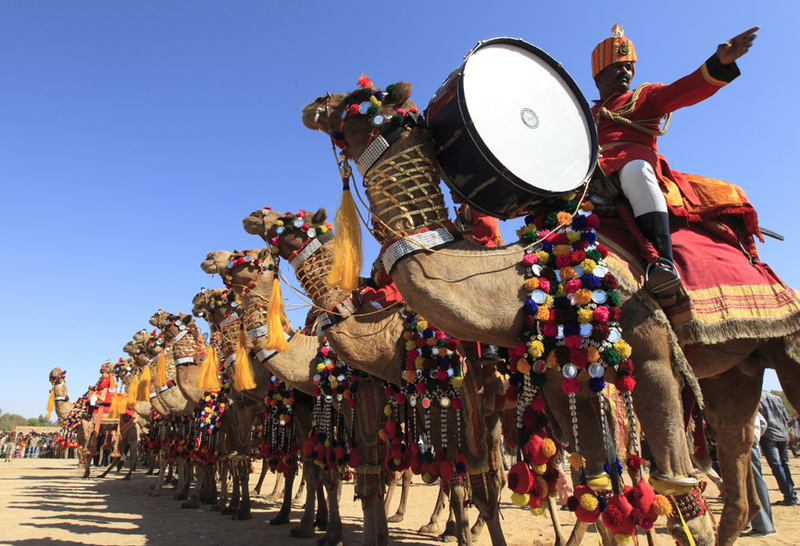 Even the camels take part in a number of events, including camel polo and camel dance. 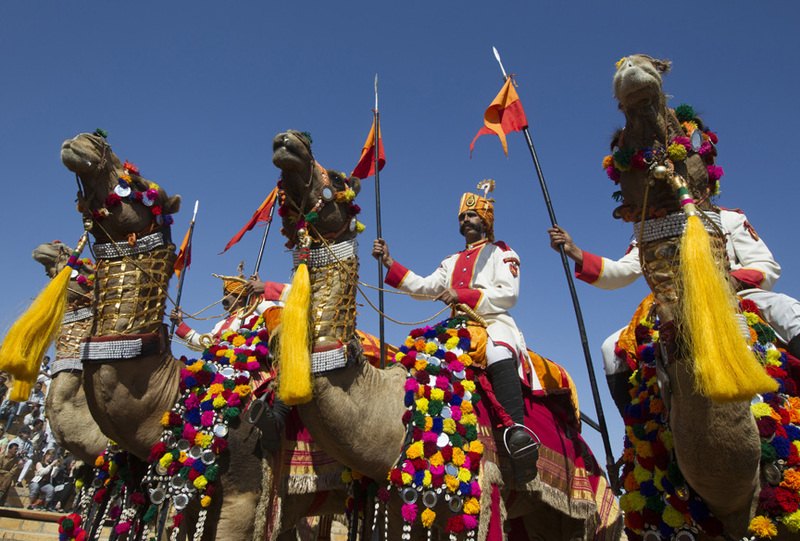 Not only the Jaisalmer fort but the whole Jaisalmer city brims with excitement during the Desert Festival. 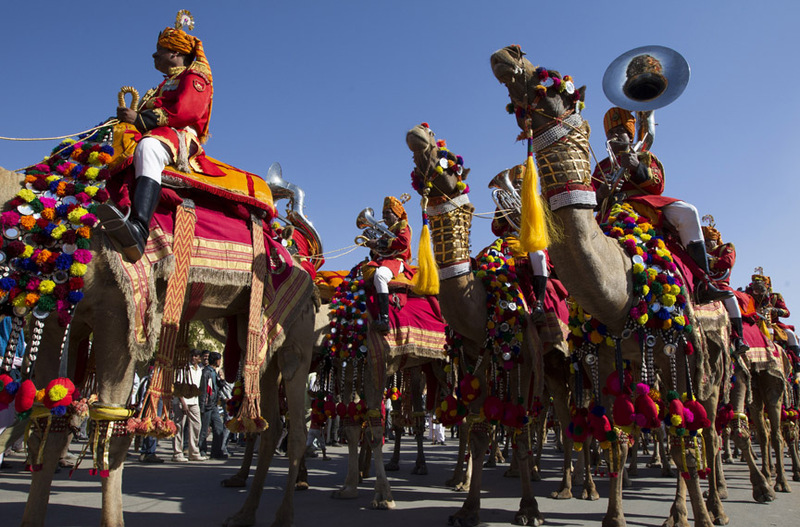 During the Festival, One can see Cultural events, camel races, turban tying competitions etc. 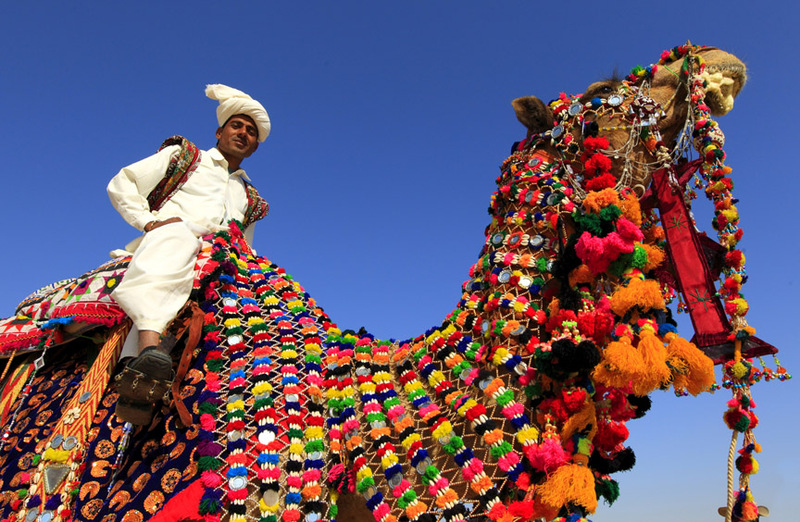 Everything is exotic in the Desert festival, amidst the golden sands of the Thar Desert. 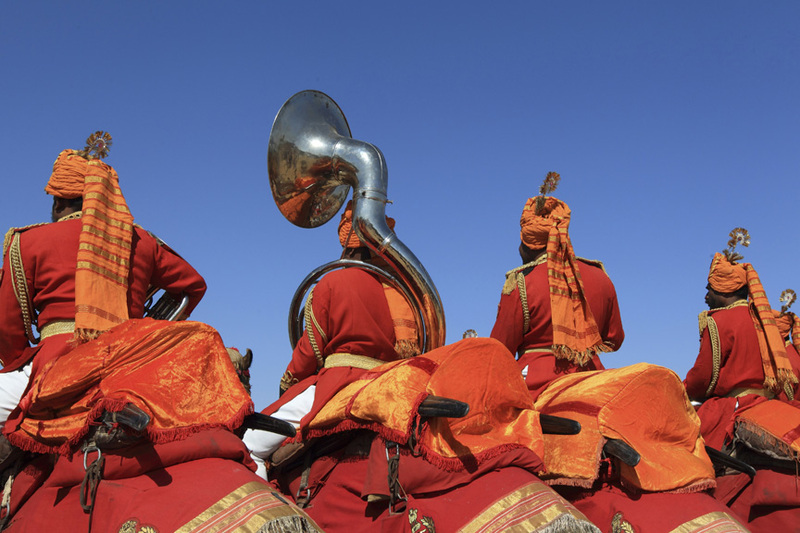 With a final musical performance by folk singers under the moonlit sky at the dunes in Sam, just outside Jaisalmer, the festival comes to its end. 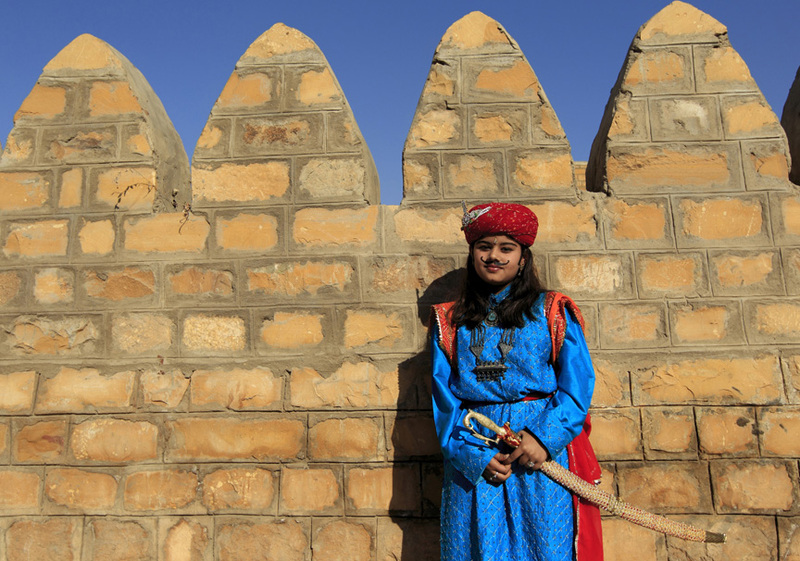 The rich culture of the region is on display during this three day long extravaganza.